Trainer: Martin Wilks and Henry Whitfield. Trainer: David Gillanders, ACBS Peer-reviewed ACT Trainer & Henry Whitfield MSc, ACBS Peer-reviewed ACT trainer. Prerequisite: ACT: Four Day Skills Intensive Part 1, and some experience of applying ACT to both clients and oneself. Date: 16th Oct 2018 Starting online for 9 weeks. 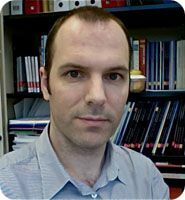 Also a clinical psychologist, David first became interested in ACT in around 2004 via the Contextual CBT for Chronic Pain work of Lance McCracken. As well as working as a clinician specialising in chronic pain, David also trains clinical psychology doctoral students in ACT. He has led a research programme in clinical health psychology, focusing on a variety of long term health conditions. This research has investigated different theoretical perspectives on psychological factors in long term conditions. This research strategy has supported thesis projects for 8 DClinPsychol students, and 3 PhD students. David has also worked on measuring cognitive defusion (a core process in ACT). Martin has cultivated a personal mindfulness practice for over 20 years. He runs mindfulness-based groups and counselling services in a London prison. In private practice, for the last 4 years, he has used ACT in short term work and weaves many ACT practices and procedures into longer term mindfulness-based psychotherapy. His research interests include the integration of meditation with co-counselling. Henry set up Mindfulness Training Ltd in 2006. His research interests include the theoretical and practical integration of mindfulness with cognitive behavioural theories, Acceptance and Commitment Therapy processes and in case-formulated applications of mindfulness. After 4 years as a trauma specialist for Victim Support Lambeth, Henry has since conducted empirical research for City and Hackney Mind, and SPCP Regents College, London investigating psychological process in counselling. He also works in private practice, and teaches widely on the subject of Mindfulness-consistent therapies. Patrizia is an experienced MBCT and MBSR trainer and is a Senior Lecturer for Integrative Psychotherapy and Counselling (University of East London). Patrizia was also resident in Hong Kong and China for 9 years where she studied Taoism, Buddhism, Energy work, Meditation and Yoga. Patrizia also has research interests in Autism and Mindfulness. Dr. Jonathan Kanter is a Research Associate Professor and FAP Term Professor at the University of Washington. He has written numerous empirical and theoretical articles on FAP and provided workshops to student and professional audiences around the world. He is the author of over 50 peer-reviewed articles and book chapters and has edited or co-authored 5 books, including “A Guide to Functional Analytic Psychotherapy: Awareness, Courage, Love, and Behaviorism” with several other authors. Louise's research interests are centered on the experimental analysis of language and cognition from a behaviour analytic and Relational Frame Theory perspective, including especially the development of complex cognitive skills such as as perspective-taking and the process-level investigation of behavioural and cognitive psychotherapies including Acceptance and Commitment Therapy. She has published over 40 papers on these topics and has received funding from several sources including the British Academy, the Leverhulme Trust, the Waterloo Trust and the Welsh Assembly. 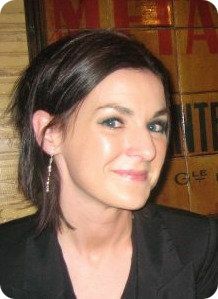 Most recently she was awarded a European Marie Curie career integration award to join the faculty at UCD. A faculty member at University College Dublin (UCD) in Ireland, Louise McHugh is not only a world authority on RFT (Relational Frame Theory – the theory of language and cognition that underlies ACT) but also a dynamic and entertaining presenter. Louise is editor and co-author of the newly published textbook ‘The Self And Perspective Taking’, and her ground-breaking work in the use of RFT to help autistic children develop theory of mind and empathy is now being employed by state-of-the-art ABA programs around the world.